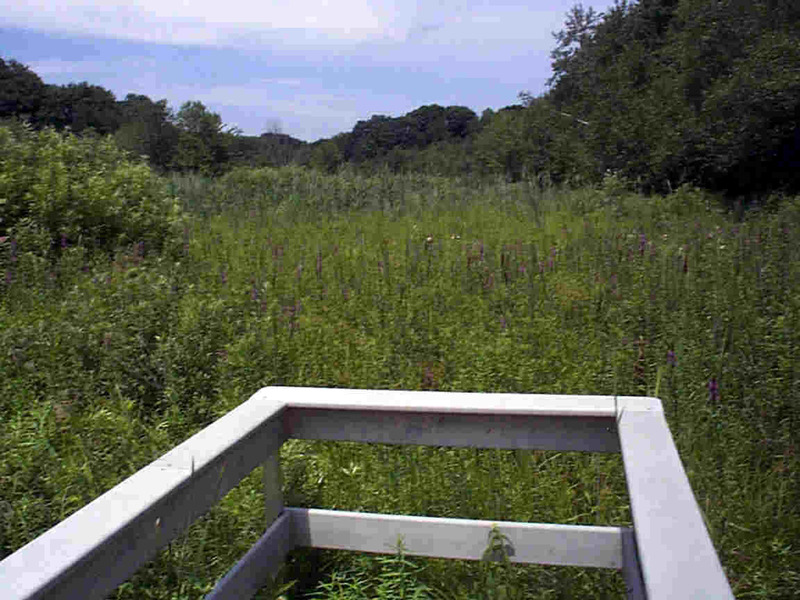 This area is a typical marsh. 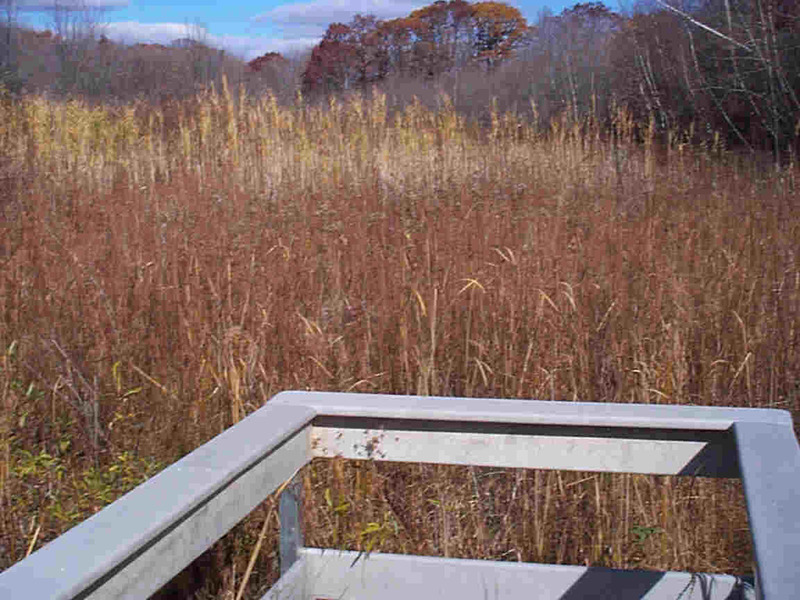 The vegetation that dominates the area is broad-leaf cattail (Typha latifolia). Cattails (punks) are important resources for wildlife such as birds, insects and mammals. Also present is the other common cattail (T. angustifolia) narrow leaf cattail. In late July, early August this area becomes a splash of red and purple. 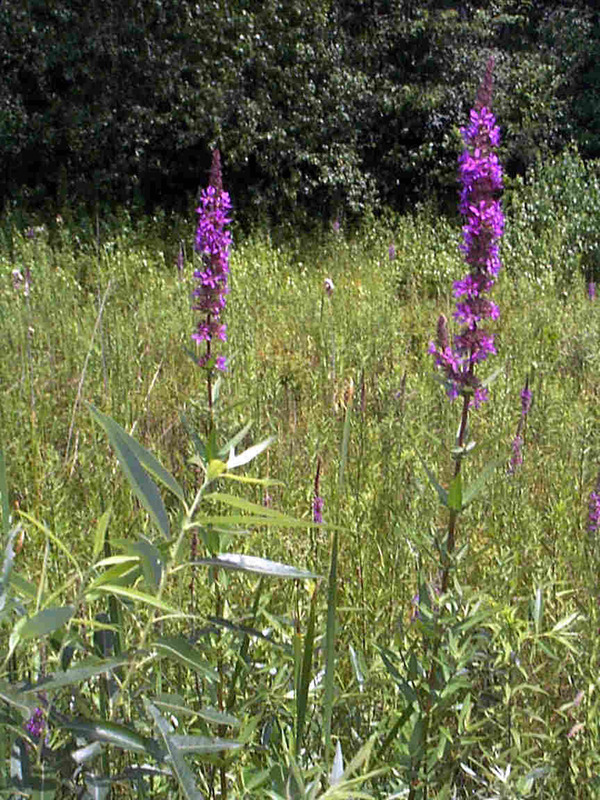 Coming into bloom at this time is a plant as tall as cattail but with a beautiful purple flower - Purple loosestrife (Lythrum salicaria). This plant is an alien - not natural to the United States. Either intentionally or accidentally introduced about a hundred years ago from Asia, this plant is taking over our wetlands and displacing natural species, especially cattails. While beautiful, it is not as important a resource as cattail and is a problem in many wetlands. If not controlled, it will eventually take over a wetland.